I've got lots of pages; where to start? 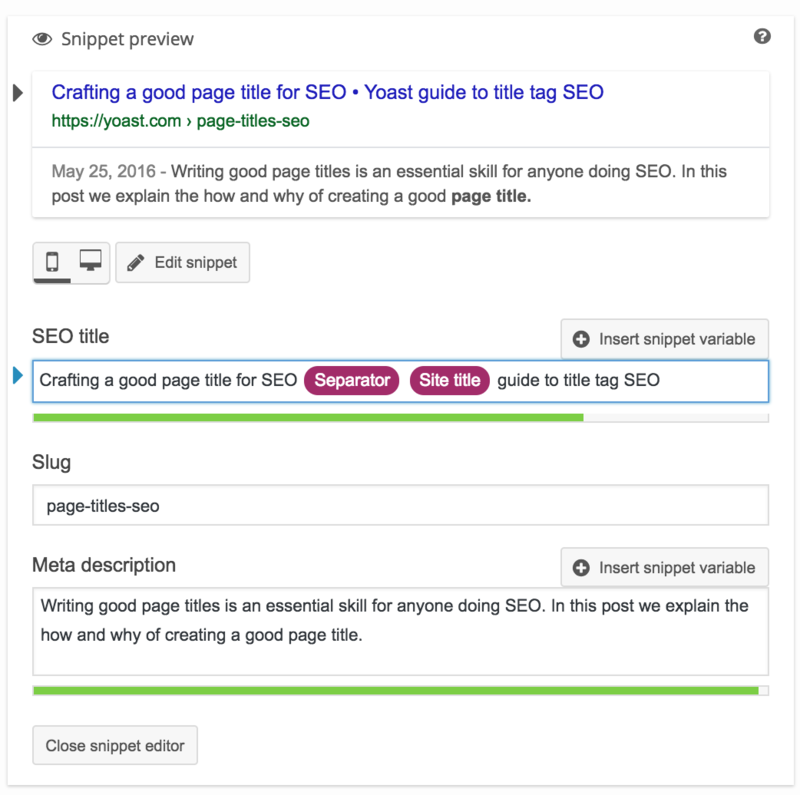 People often ask questions about the option ‘Date in snippet preview’ which you’ll find in the Search appearance section of our Yoast SEO plugin. If you choose ‘show’, it ‘ll just add the date in the snippet preview in our plugin, not to Google! But it will help you decide on the right length of your meta description, as your description may be cut short if Google adds publish dates to your articles. So check if Google does that first! If it does, select ‘show’. Thanks, for giving me a deep insight on making right meta descriptions. All of your tips are precise and crisp. I will surely implement these strategies in my future posts. Loved it! I have learned a lot about creating meta description. The discussion is very comprehensive. Good job. Thank you for valiable information. Now i can create a accurate meta description. The meta description means a lot, since it tells search engines about your page. Very nice tutorial. Wanted to ask you one thing? If I use two seo plugin would that hurt the performance of the website? Enjoy your training tutorials. By following examples like this meta data article, I have increased the number of customers for my companies products. Thanks Yoast ! That’s awesome! You’re welcome, Daniel. I thought the closer the keyword to the beginning of the description the better, so generally mine always start off the same. I will start changing them up more from now on. Hi Freedy, Try to focus on what visitors can get out of the post or page. What will they find there and how will that help them? Hope this helps. Good luck! Good article. I always thought the meta description should be taken from the post itself. Now that I see it just needs to be an accurate description I can create better ones. Hi James, Sure you can! Good luck! This was very useful, i did something similar before when i used “Frontpage” as a sitebuilder. I really miss that one. But maybe there is hope by doing it this way. I will certainly try it out. Great information. Still learning, so knowing to add key words to the META description should help. Keep up the tips. 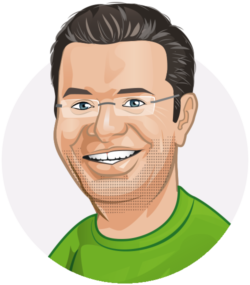 I have been a Yoast user for over 10 years and have the premium version is this good customer service? Very useful article! I will for sure take it into consideration for my future posts. Reading the text has made me think of this, though: would you consider the meta description in taxonomies and tags as important as in posts and pages? One example: travel blog which categories are destinations. Each category, sub-category, etc., will be focused on the experiences, inspiration, resources… that took place in that particular destination. Would you still suggest to write unique, original descriptions, instead of a pattern like “in this section you will find all the […] of the beautiful Netherlands? (and change the destination for each category). SEO experts recommend writing original meta descriptions for each page, instead of a template meta with given words changed. Apparently Google looks at that as lazy at best or spammy at worst. So it’s best to change things up for the different pages, like “See all the museums in the Netherlands”, “The Netherlands offers many great restaurants”, “Wondering what festivals happen in the Netherlands?”, and so on. It’s more work, but it looks better to Google. I will certainly follow your advice! Hi Pedro, we definitely recommend to create original ones. Not only for Google, but for your potential visitors as well. When you focus on something specific for that country it will be easier to entice people to click. If you have many tags and you want to prioritize, you could take a look at your Google Search Console data to see which tags rank highest and start from there. Really, It was very helpfull for me. 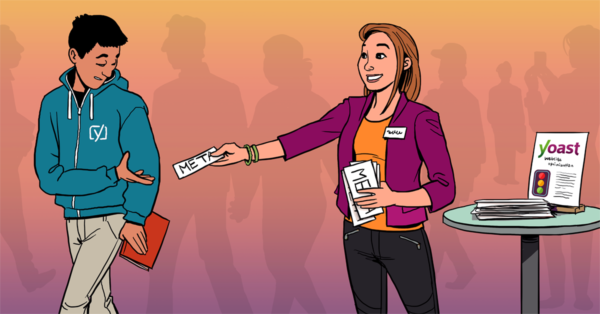 I am a beginner so, after reading I understand very well how I should write meta descriptions. Hi Durgesh, that’s great to hear!